I was a pup preacher bringing the community message on Easter evening at the Church of God in Blossom. The service started with energy, though bit raucous to my eye. The singing and praying didn’t prepare me for what was to happen when I rose and begin with these words, “Easter isn’t about baskets, bunnies, or bonnets”. Immediately the congregation started barking at me as if I had thrown red meat to a pack of dogs. I concluded with, “It’s Friday, but Sunday is coming!” That sent things into a frenzy. Ever long for an old-fashioned Pentecostal service? 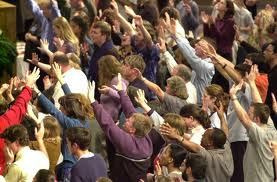 Anyone baptized in Jesus’ name and marked by his Spirit is Pentecostal; making every church a Pentecostal church. Yet, the more our faith becomes settled, the less open we are to fervent expression. Besides, there aren’t many days of high winds in the church, and tongues of fire on the heads of lay people speaking strange languages. When does the good spiritual stuff happen? The overuse of spiritual as an adjective has diluted the potency of the word; referring to a feeling or mood; watering down the meaning of what it means to be full of the Spirit. The word Spirit means “God-present”. Spirit things are what happen when we experience something that has no explanation except God? Whenever it is a God thing, the Holy Spirit is behind it. Even if these experiences seem foreign, we are to live expecting them. In Acts 2, the power of the Spirit defies human explanation and performs artificial resuscitation on a room full of well-intentioned bumblers. They become full of the Spirit and a force that changed the world. This is the same spirit that in the beginning stirred the turbulent waters, spilled forth from prophets and kings proclaiming the word of the Lord, rained down on Jesus at his baptism, still lays its deluge down on God’s people in every age causing women and men to live beyond themselves; full of the Spirit. Pentecost roots in the Old Testament celebration held fifty days after the barley harvest. Pilgrims traveled thank God for the harvest and celebrate God’s giving of the Ten Commandments onMt.Sinai; both life-giving events. It was fifty days after the resurrection of Jesus, during the usual Jewish celebration of Pentecost, the Spirit blew like a rushing wind on a multiethnic, multilingual crowd injecting new life into this diverse group by blowing away their differences; giving birth to Christ’s Church. No, they were soused by the Holy Spirit, not by distilled spirits. Rather than impairing their senses and dulling their minds; their thoughts were more acute. Rather than making their tongues thick and slow, the Spirit loosed them to speak. The Holy Spirit gave Aramaic-speaking-only Jewish disciples the capacity to speak to the heart of people from all over the world, so they could understand the love of God for themselves. Peter rose to speak to this audience of congregants from all over the globe and connected their Jewish history and their various experiences with the story of Jesus. His message wasn’t a well rehearsed, elegant sermon. He simply lets the words fly. Instead of them flying everywhere, the wind of the Spirit carried them where they needed, and some 3,000 were added to the church. God custom fitted the words for each individual by giving the Spirit, which translated the words and transformed people’s lives. The language we speak when under the influence of the Spirit makes possible a common understanding among different persons in the Body of Christ. Peter describes heaven’s ultimate hope that persons from every corner will be ONE by quoting from Joel 2, who centuries ago gave witness to the unity of the Spirit despite differences. Peter says: sons and DAUGHTERS will prophesy, everyone has value! ; YOUNG people, whom we might think haven’t lived long enough to see rightly, will see visions; and OLD people, whose future is behind them, will dream dreams. SLAVES, men and women from the lowest class will possess the Spirit and offer words that matter. It’s a unity that doesn’t deny differences, but creates a framework for every person to speak their language and remain connected to the epic Jesus story. 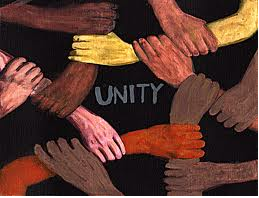 The unity of the Spirit includes all people, while transcending a person’s particular story; creating the one Body of Christ. 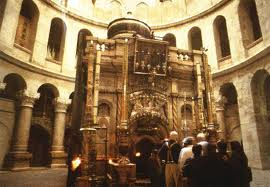 We were taken back by the mass of humanity when we visited the Church of the Holy Sepulcher in Jerusalem. Christians from every corner of the world were streaming into the traditional place of Jesus crucifixion and resurrection. While it never felt reverent, eventually it settled into us all that we were all packed into this holy site for the same reason-a Savior who died, rose and is coming again for each person there. 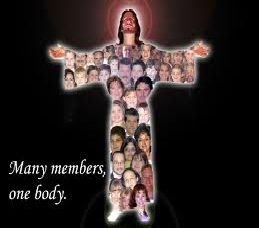 We were all there for the same reason-the Body of Christ. What it means to be full of the Spirit is: We bear the mark of our Maker; distinguishing spirits by testing and tasting to see if they are of divine vintage. We live as God’s children and as joint heirs with Jesus in the resurrected life. Our Spirit-filled words are neither unintelligible, nor ecstatic, but communicate the wonders of God through our witness of the new life found in Jesus Christ. We possess a new vocabulary and grammar, so to work in cooperation with God in practicing this new life together under the influence of the Spirit to create the Church. It’s never easy being a Spirit filled church. We are required to be, speak, and practice new life. We’re new people called to boldly speak to a world out of our control, but in God’s hands; yet doesn’t speak our language. Our peculiar words challenge a world that thinks there’s no alternative to its self-congratulatory narrative of power and control. This requires practice, practice, and practice that cannot happen in a pew Spirit filled people are willing to be inconvenienced, even at the thought of being peculiar. Early Christians were known by their peculiarities. Their lives followed different rhythms than those of the larger society. Practices like worshiping together privately, keeping a different Sabbath, resisting certain practices of their culture were political acts of nonconformity that placed early Christians in danger. The practice of loving neighbor and enemy equally with second mile generosity was beyond the scope of accepted behavior. Their lives gave evidence they were drinking deeply from the Spirit’s well. We must learn from our forbearers in the faith to forgo attempts to create a homogenous church based on stories other than the gospel. This means redefining our sense of self and community so that those who are different find us welcoming. We must not only speak up for the young, elderly, and unwanted; but join in relationship with them in real ways. We may be viewed a peculiar; but when filled with the Spirit, we have no other choice. We are a connectional mainline church who can be wary of churches like that church in Blossom. 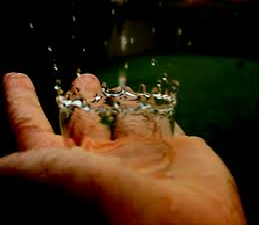 At times, I think we are so reticent of the Spirit we quench it, instead of being drenched in it. We treat the gift of the Spirit as if it were offered only for our own personal experience. There’s nothing wrong with knowing the Spirit has come to us, but the Holy Spirit is not our private reserve. The primary purpose of the Spirit is to give a power beyond our ability to speak a new language to our world even if we don’t know what to say or how to say it. We are heading out into the neighborhood this week to pass out water; hoping to know our neighbors better. We will meet at 6:15 a.m. and 3:15 p.m. this Wednesday, May 30 and offer hospitality in the name of Christ. May the Spirit of Pentecost compel us to speak of the love of Christ through our words and actions in all we do. Pentecost is here and no longer is our individual stories the most determinative factor in our lives. We’re a new people in a new time, called to live faithfully, in a world that does not understand. We are to live an alternative witness to the power of God. Are you willing to be so peculiar others think you’ve had too much to drink? By the grace of God there is never a last call. 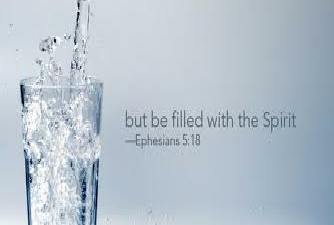 Are you full of the Spirit, if not drink up! How did you celebrate Ascension Day? Did you feast, party, invite family, friends and neighbors over for a cookout? I have been wondering what would be different if we prepared and celebrated the third person of the Trinity, the Holy Spirit, like we did the second person of the Trinity at Christmas. It seems we would at least have some event, noting we are only ten days from Pentecost. At this point, the reality of Jesus’ resurrection was growing on the disciples. For forty days, Jesus was with the disciples; proving he was alive and teaching them more of the kingdom of God. Jesus tells them to wait together in Jerusalem because he is about to leave again. What and why? His disciples must have felt like it’s over, but it just had begun. That common phrase depicts a child describing a summer vacation, or parents speaking of child rearing. The disciples were dealing with the paradox of Jesus’ earthly ministry being over, but their new ministry just beginning. Acts 1 transitions the disciples and the reader from the lightning of Jesus’ incarnation and resurrection to the thunder of Pentecost; celebrating the coming of the Holy Spirit’s birthing of the church. These events are separate, but we can’t have one without the other. So, they had to wait ten days for the full release of the power of the Holy Spirit because the last forty days were full of experiences no human could fully grasp. They were not ready to fathom the rapid changes before them. Jerusalem,Temple, and synagogues would soon lose significance as these familiar intellectual and emotional landmarks were washed away. They would no longer live according to the customs of their Jewish heritage or aligned with Greek culture. 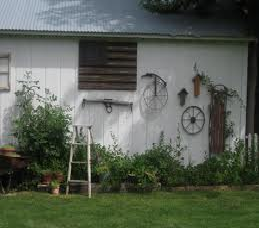 Their traditions would give way to the all-consuming mission of extending the kingdom of God. The disciples hadn’t demonstrated much swiftness in catching on. They needed some “soak time” to let all Jesus taught them about the Kingdom of God work its way from their head to their heart. Their lifestyles, priorities, and decisions would be based on the will of Jesus in their lives. Their faith could not be peripheral; it had to be intimately connected to Jesus and each other. They were left for ten days to allow it soak in. In v. 2, Luke indicates his recipients are the chosen saying, “Jesus “gave instructions to those he had chosen”. Most people are not called to “The Ministry”, but all have been chosen and sent. The responsibility of disciple making isn’t only for the “professionals”; we each have a role in making disciples that transform the world. The chosen are better able to understand why they were being sent. Choosing precedes commissioning. When you are chosen, mission is more important than tradition, community more important than preference, and Christ’s claim more important than cultural winds. The chosen will not let others be sent; they’re ready to go. Chosen folk step into gaps, reaching out and crossing lines of differences. The chosen can be distracted. The disciples ask, “Lord, is this when you will restore the kingdom to Israel?” Jesus replied it’s not your business, saying the coming of the kingdom is God’s business, so keep your eye on the ball. We can make the wrong thing, the main thing. Jesus didn’t say create great worship, so everyone is happy. Jesus didn’t say create small groups, so everyone feels connected. Jesus didn’t say create campaigns, so everyone can give. Jesus said the Holy Spirit will give power to speak grace filled words that can meet the needs and longings of all persons. As Jesus leaves them waiting in this ten-day in-between time, he renews the promise of the Holy Spirit. 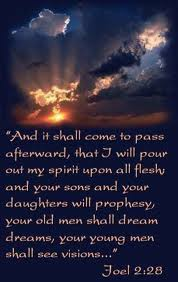 They would no longer have Jesus; they would have the Gift of the Spirit. And he promises a power will come with the gift of the Spirit; the same resurrection power; that raised Jesus from the dead. The Greek word ‘dunamis’; root word for dynamite is the power of God that dynamically transforms; enabling the work of God in the world. The outward expression of our inward relationship with Jesus is our witness. We are promised we will have the power we need to witness. Jesus leaves them staring slack-jawed into the sky. Two beings in robes comfort them, saying, “Men of Galilee, why do you stand looking up toward heaven? 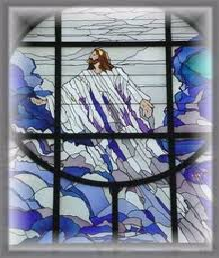 This Jesus, who has been taken up from you into heaven, will come in the same way as you saw him go into heaven.” It was over, and it had just begun! Human eyes would not see Jesus again, but Jesus was with them; like the setting and the rising of the sun; gone, but present. We drop off kids at college. We would like to stay, but this would hinder their becoming the persons they’re meant. We had a previous role to play that required our presence. We now play a role involving absence; staying close through prayers prayed, cell phones charged, and charge cards handy. Jesus is going to be present with his disciple in his absence in a different way; sending them into their future to offer a witness. The word for witness is ‘martus’, it’s the word martyr. It denotes someone who bears testimony, even at the risk of life. Not many of us are going to be in a situation that requires our lives. However, we may be in contrarian situations where words of grace might rub against the norms; even graceful words can cost us a relationship, our reputation, or a hard response. We’re living between the first and second coming of Jesus; surrounded by hurting, lonely, and scared people. I see the faces of my new neighbors, who pass me by with their heads down afraid to make eye contact. Eventually Terri came and set beside me on our side porch and I pointed out this behavior of the people whom we share proximity and life now in our new home. She quickly diagnosed the issue and said, “Just speak!” She promptly did to the next passerby who both she and I begin to become acquainted. People need our story of the transforming work of Christ in our lives. It isn’t easy being chosen and sent. It is makes us vulnerable and risks misunderstanding. We are chosen and sent to tell our stories; our witness to the life-changing grace of God. Jesus’ demonstrates how to witness. Notice how he looked deeply into all things to see what was really happening wherever he went or whoever he met. We are sent to get into the line of sight of people, so all are changed in the way we see the world, even though there is no guarantee something visible will happen. The more we show up, the more opportunity the Holy Spirit has to work on us and them. We activate the power of the Holy Spirit by showing up in people’s lives. Our showing up allows the Spirit to make a difference to people who need our graceful witness. Eventually, we must speak. All are sent to verbalize what God is doing in our lives. Each of us has a unique story, a circle of influence, particular gifts, and the recreating power of God within us to share our witness. We may claim we have a difficult time speaking; fearing we will mess it up, so we do not give the Spirit a chance. The Spirit was given for us so we might be sent to engage in heart to heart chats with those who need to hear how our hearts were made right in Christ. There is no limit to what the Holy Spirit can do if we open our mouths and speak good news. Trust the Spirit to do with what we cannot; translate words and transform lives. The witness affects the whole Body of Christ. Witnessing expands worship because we expand our circle of worshippers. Witnessing draws in new people because we invite new people into our lives. Witnessing causes us to consider new ways of giving, including ourselves. Most importantly, witnessing gives opportunity for people to respond to the amazing grace of God because we showed up. The Spirit sends us to assure people the world is not falling apart, and a gracious God is holding things together and to invite hurting, lonely and scared people into that reconciling world. The question is, are we willing? Let us pray! “You asked for our hands so you could use them. We gave them though the work was hard. You asked for our mouth to speak and sometimes all we could give you was a whisper. You asked for our eyes to see the pain of people in our world. You asked for our lives that you might work through us. Lord, forgive us for calculated efforts to serve you when it is convenient and only in places where it is safe, and only with those who make it easy. Renew us, and make us a usable instrument so we may answer the call of being chosen and sent with a power to offer a witness to our world. AMEN! It’s mid-August on a Sunday afternoon, 1948. Inside a modest farmhouse in Middle America, lounges a Methodist family devoutly observing Sabbath rest. They’d been to church, but it is now mid-afternoon. Dad’s feet are up on the worn out stool. Mom and kids are resting, watching the dust mites drift through the shafts of sunlight streaming through the picture window. Before long it will be time for Mom to re-comb the children’s hair as Dad will re-tighten the knot in his tie and head out for the evening vesper service. Dad is finishing reading of the family’s fine Southern Methodist Episcopal heritage. Suddenly and shockingly, the words on the page re-arrange themselves. A message from God appears. It says there is a new Cary Grant movie playing at the cinema. The Spirit thinks they should take in the matinée! Surely they would resist this cinematic command; thinking it was a mistake. It would take great prodding by God for this family to change their fundamental beliefs, even though God said so. This vision of change challenged these mid-20th century folk faith’s sensibilities. If you think my illustration sounds absurd, what about the spiritual shock Peter felt when he received his vision. There are few shocks to the system like a spiritual shock, which ask for change. Peter’s vision comes as a holy surprise; asking him to realign his values. Unlike some religious customs, God’s laws about clean and unclean foods are traceable to the Bible. Blue laws about theater attendance and card playing were not derived from specific scriptures, but from principals in the Bible. Peter could flip open his Torah to Leviticus and quote chapter and verse why they ate kosher, and didn’t eat other foods. So, in this rooftop vision God commands Peter to break dietary laws from the good book and Peter is scandalized, his head is spinning as he considers making this change. Despite their belief in Jesus as Messiah, Peter and the apostles still saw themselves as Jews. Their Jewish identity was added to through the revelation of Jesus as God’s Son; their core religious identity had not been replaced. Peter hears a knock at the door and a delegation of swarthy-looking Italians, representing a Roman centurion, Cornelius. They say they are seeking Peter. As a devout Jew, it was Peter duty to avoid Gentiles, or convert them. It is unimaginable Peter would go with them to Caesarea, “Caesar-ville”, the name smacks of all that was loathsome to devout Jews. 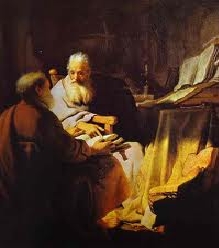 Cornelius shares his vision; Peter speaks the good news found in Jesus Christ. To Peter’s wonder, a new day of Pentecost happens to the entire household; the Holy Spirit is poured out on these Gentiles. 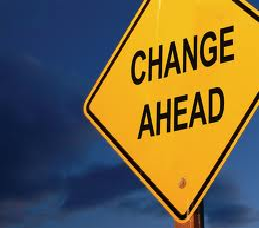 No less change happens to them than what happened to the disciples in Jerusalem. Peter can’t believe it, but he can’t deny the change. He calls for water to baptize. Peter’s change will not be complete for some time. He will continue to believe Gentiles should be turned into Jews before they can be accepted as followers of Christ. He will not make a complete change until Peter and Paul will have one of the early church’s most famous Donnybrook on this question at a later time. Peter will insist Gentiles keep kosher and be circumcised, while Paul will insist such requirements are ludicrous. 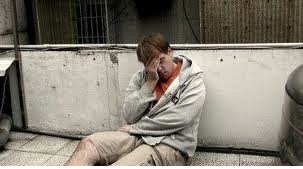 Paul’s change will take as he comes to terms that “saved by grace thorough faith”. means God doesn’t wait for ritual before offering grace. This is the Peter who walked the hills of Galilee with Jesus, saw Jesus heal Gentile children, though it was criminal for a Jewish midwife to birth a Gentile baby. It took him time to connect God’s grace with the times Jesus ate with tax collectors and spoke kindly to prostitutes. Still, Peter had not been paying close attention to the activity of God. In the end, Peter changes; realizing God has always sought all people; offering saving grace. There’s a detail in Acts 10:5 that assumes biblically literacy; the city Peter receives his vision-Joppa. There are two stories that involve Joppa: this one, and Jonah. 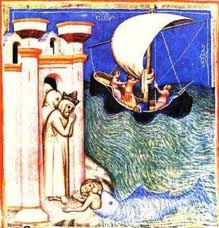 Jonah was prophet who fled to Joppa refusing to go to preach to no-good non-Jews in Nineveh. Jonah believed salvation was only for Jews, he wasn’t going to be responsible if these non-Jews repented. He flees and ends up in Joppa. Years later, Peter ends up in Joppa, and the lesson for him is the same as it was for Jonah: God offers grace to all people. Joppa is a changing place for both Jonah and Peter. The primary change at Pentecost of the Holy Spirit showing up is a broader understanding of God’s desire is to offer grace to persons in all stations of life. Everything God has done from the call of Abraham to the resurrection of Jesus was to extend God’s grace to the greater world. As benefactors of undeserved grace, we are to partner in that process, not hindering it with our expectations and rules, which are rooted in a limited world view. When the wind of the Spirit blows we are asked to change attitudes and actions to welcome folks who are indeed different. The struggle to see our union with people different from ourselves in the 21st is no different from it was for Peter in the 1st century. In every age, we use our piety and practice as the yardstick; measuring others. Listen to our words toward people who worship less reverently than we. Hear how we speak of groups that associate with people we don’t understand. We cynically wonder about churches that loosely govern themselves. We relegate people who are different to being less informed; categorizing our differences with labels that suggest they are not as highly evolved. In 1 Corinthians Paul teaches how are differences are necessary parts of the whole body. He says if one rejoices, we all rejoice; if one suffers, we all suffer. Paul once like Peter, but his heart changed; realizing if one has a problem, all have a problem. The cliché, “It is not my problem”, has no place in the Body of Christ. The whole body works together to bend and remove a thorn in the foot. Paul asserts that happens in the Body of Christ. What does the Spirit need to change in us as Pentecost approaches, so we may reach people who have not been included before this day? What new sister and brother needs to be involved in our family: the migrant worker who builds our city and roads; the troubled teenager who is more trouble than they seem worth; the homeless schizophrenic who scares us; the young con who has never been told or told the truth; the licentious mother who struggles with things few of us can imagine; or the hard to understand African whose culture is utterly foreign. If the grace of God through Christ can come to us it can come to any of these and others. For some of these people who are different from us and others the Spirit will have to change some things in our lives, so we might be better vessels of God’s grace, just as Peter’s heart and mind had to change. This kind of change is no different from the maternal love that adapts and changes to the different needs of our children at different time. We, like Peter, can make these changes; so we, like Peter, can more clearly declare our one faith in the one Lord Jesus Christ who is this world’s hope. Acts 10 concludes with something Peter could never have imagined in his wildest dreams. 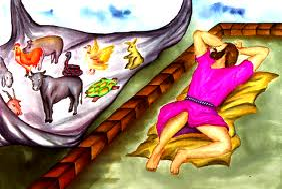 After baptizing Cornelius’ household, Peter is invited to live with, these Gentiles for a few days: sleep under their non-Jewish roof and eat their non-kosher food; and he did. 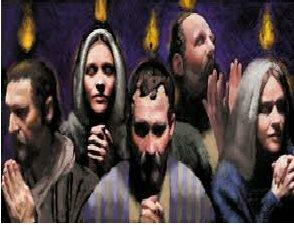 The Spirit of Pentecost that converted Peter spurs us into many subsequent changes. We should expect new revelations that bring about further changes; for the essence of God’s mercy is wider than our imagination and deeper than our thoughts. I have had the privilege to attend some great sporting events and the build-up is usually the same. All fans enter the building or stadium with a level of energy; and the collective energy can be overwhelming. When the event starts there is the exhale of the roar of the crowd. Then throughout the match or game there is the drama that unfolds that can take your breath away. Finally as you come down to the ultimate moment the crowd holds its breath, anticipating the end. When the outcome is determined, everyone, both winners and losers leaves the event feeling ecstatic because they were able to be present at this breath-taking experience. What if coming to church was like that some Sundays. It can be! The first Pentecost commemorates the historical arrival of the Holy Spirit. We are moving toward the celebration of Pentecost throughout this month of May. Let’s treat the month of May, like December; thanking God and celebrating with great fervor because we have been given the gift of the Holy Spirit. This preacher wishes there were times he could get as excited in the prayers he prays and in the message he delivers, as he does toward some of his favorite sport teams. 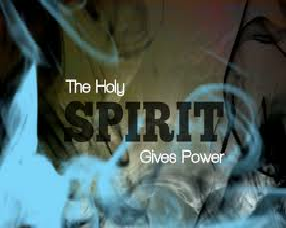 The Holy Spirit is at work in our lives, whether we acknowledge it or not. This gift enables us to experience an inner power and expressive joy because of our relationship with Jesus Christ. These are gifts we can know whether our days are full of challenge or noted with success. We should free ourselves to experience and express these divine gifts that come to us because we are marked by the Holy Spirit at our baptism. At Jesus baptism, he humbly identified with sinful humanity. The heavens opened and the Holy Spirit descended on him in the form of a dove. The event marks Jesus acknowledgement he had the favor of his Heavenly Father and was marked by the Spirit for life and ministry. The baptismal experience of Jesus was needed because he did have everything he needed to be the Messiah when he was a five year old running the Nazareth synagogue. He had to gain his own understanding of his identity at his baptism; there he came to fully know his life as marked by the Spirit. At our own baptism either we or someone on our behalf acknowledges the gift of the Spirit. This acknowledgement is followed by promises we make for ourselves or for the child whom is baptized. This acknowledgement of the Spirit and promises to God in the midst of the community of faith enable us to grow into our true identity as children of our Heavenly Father. We cannot come to know our relationship with God on our own. We see clearly who we are in God when as we are marked by the Spirit of God through baptism; the more we nurture that gift the more we come to know that the Holy Spirit knows us better than we know ourselves. Baptism is God’s way of telling us who we are by marking us through the work of the Holy Spirit. We grow into our baptismal identity within the fellowship of other the children God. Spiritual growth doesn’t happen naturally by our own will or magically by God’s direct intrusion. Spiritual growth happens in the context of a spiritual family. Jesus was born into a family, which brought him to weekly Sabbath services. My guess, if he thought of skipping, his parents prevented him; knowing the importance of learning about who and whose he is in God eyes among other sisters and brothers of the Hebrew faith. Jesus faithful participation in the faith community helped him more clearly hear the scriptural words from the Hebrew bible spoken at his own baptism. “You are my beloved Son”, comes from Psalm 2:7; a coronation song that connected him to King David. “In you I am well pleased” is from Isaiah 42, which Jesus would know the Spirit’s presence was not just for him, but he had a greater purpose for all people. The family of faith helps make known the message of the Holy Spirit is speaking to our lives, perpetually seeking to confirm our identity as children of God. Consider our responsibility to be the Spirit’s mouthpiece of blessing in our church for the sake of others. What we say to each other enables others to more clearly hear they belong to the heavenly Father and are expected to grow in wisdom and stature like their big brother Jesus. 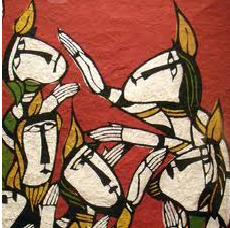 In our passage, we find Peter and John laying hands on Samaritans who have been baptized in the name of Jesus. Peter and John are acting as agents of the Holy Spirit; confirming in these new believers, the living presence and power of the Holy Spirit in their lives. We are better able to know our identity as children of God when we are grounded in relationship to God’s people in the Body of Christ. We all need each other to be God’s agent of the Holy Spirit; reminding us again and again not only whose we are, but what that means. The better we maintain spiritual connections, the better we can discern the impact of the gift the Holy Spirit in our lives. We become more distinctly marked by this Holy Spirit; making it more obvious we are children of God who belong to the family of God. The outcome of the gift of the spirit always includes call. I am convinced the way forward for the church of the 21st century is for laity to claim, express and live out their call. Our first call after our baptism is to be a people (laity) who are ministers of grace. This precedes the clergy call and should always supersede. We have lived through a century of reversing the roles; making clergy call primary. This has unintentionally weakened the church. I have tried to say in two series of worship experiences in this first year, the more profoundly we come to terms with who we are we in God’s eyes, the more likely we will take on the responsibilities that come with our privileged identity. Identity always implies vocation. If we are engaged in a family of faith then we will naturally participate in the family business of offering Christ love to our world. This is answering the call of God because we are marked by the Holy Spirit. We all want our lives to be more than what we have always known. Living a life marked by Holy Spirit lifts our lives to new level of significance. This will only happen the more we intentionally connect ourselves to a family of faith that engages us in relationship with the person and teachings of Jesus. The energy we feel should be like going to a great sporting event because we are caught up in the warp and woof of the energy of the Holy Spirit; who compels us to more willing to risk ourselves in service to neighbor. Life will never be business as usual if we rise each day knowing that because are marked with the Spirit our lives belong to God and others. Communion also reminds we are marked by the Spirit. I invite you to come to the rail today and do two things. First, name and thank God for those sisters and/or brothers of faith in your life that regularly awaken your spiritual self. Second, ask the Holy Spirit to make known to you whom and/or what you are called to serve this week. This is what essentially happened on that first Pentecost: a group of gathered believers experienced a spiritual awakening and were compelled to preach, teach and serve in the name of the same Risen One we claim to be our salvation and who gave us this great gift of the Holy Spirit. Are you ready, Pentecost is coming!